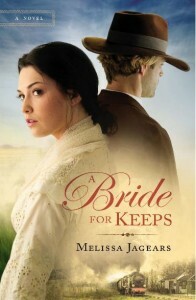 Blurb: Mail-order bride Eliza Cantrell is on her way to meet her intended groom and help him grow his general store business when her train is held up by robbers and she loses her dowry. She’s further thwarted upon arriving in Salt Flatts only to find Axel, her groom, away on business. Hoping a wife would push Axel to become a better business partner, William Stanton had encouraged him to seek a mail-order bride. 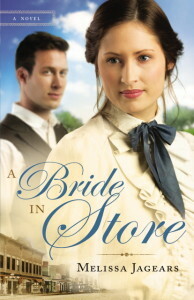 With Axel gone, Will feels responsible for Eliza, so he finds her a place to stay and lets her help in the store. 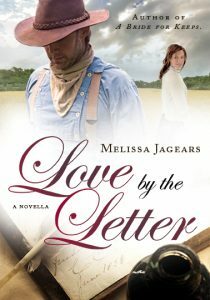 Working together isn’t what they’d expected, and when Axel is further delayed, neither can ignore the sparks that fly. But Eliza is meant for Axel and is set on a future with the store, while Will is biding time until he can afford medical school. 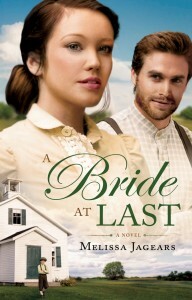 Their troubles are far from over when Axel returns to town, however, and soon both Will and Eliza must decide what they’re willing to sacrifice to chase their dreams–or if God has a new dream in store for them both. Thanks to Erin at “I Think I’m Obsessed” A Bride in Store has an official song and I think it fits perfectly! 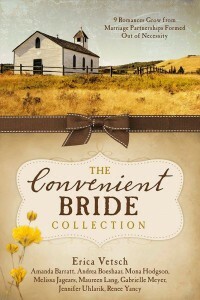 I’ve just finished Books 1 & 2 of the Unexpected Brides Series and looking forward to Book 3. I wanted to Pre-order this in ebook. Could you tell me if this book will come in ebook form? If so when it can be pre-ordered. Rita, so glad you liked the books. I looked but you’re right the ebook isn’t up yet, but it will be in ebook form. I am unsure when the ebook pre-order buttons will go up, it’s up to the distributors, the publisher gives them the information but they all seem to go at different speeds about getting it out there. Some possible ways you might find out is to follow my facebook author page or sign up for my newsletter, I’ll probably announce it there when I see it, but even if I don’t, seeing me in either your FB newsfeed or in your email occasionally might remind you to check for that preorder button every so often. 🙂 And thanks for wanting to preorder! The Preorder Kindle button is now up Rita! I have read the first two books. I am so excited about this third book. You see both me and my granddaughter (Clarity) are in this book. I hope we can continue to be part of stories as they continue to many more books you will write. I am letting all my friends and family know. Thank you!